It seems that alternative application takes the advantage of the laziness of Skype, two days ago we have seen that Skype is in the row to launch its application for iPad which allow users to do video calls, but according to the expected date by sources there is no chance of release the app in two or more days. 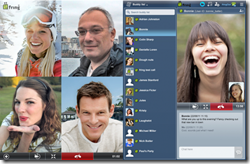 So by taking the advantage of Skype laziness, Fring puts it hand in the market and announced the video calling for iPad, even with the ability of video conference between four people, right on the one screen of iPad 2 at the same time. 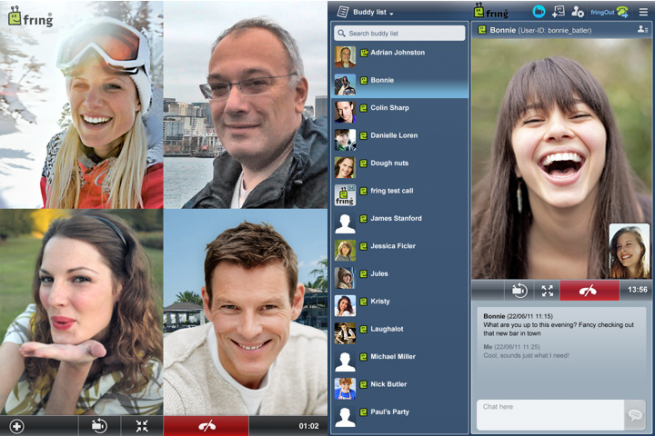 Fring has just released the update to its current application which adds the ability of running on iPad 2 and allow users to make video conference calling with their loved ones or to use it for their meetings. This update of Fring takes it application to the version 5.1.1.2, it also includes the fixes of some bugs which shown in the last version of app, also adds the support of drag and drop navigation, Bluetooth Support.